Geek Grotto - Get Your Geek On! 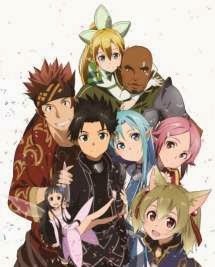 : Sword Art Online EXTRA EDITION Worldwide Simulcast Announced! Sword Art Online EXTRA EDITION Worldwide Simulcast Announced! Just in time to end the year, Aniplex of America has announced that the Sword Art Online special will simulcast worldwide. In the US, we can watch on Crunchyroll or Daisuki.net! * Please check with streaming website for exact start time. Please be advised that these sites will not be available for viewing in Japan. Lisbeth: Ayahi Takagaki and more!